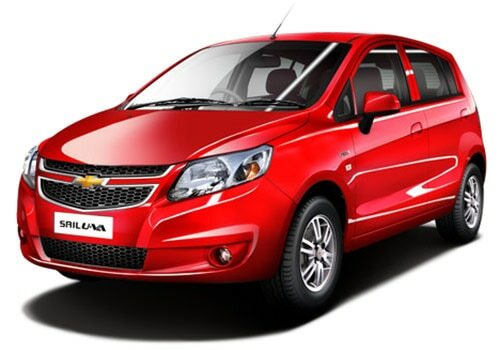 Finally, the long wait is over after speculations of months regarding the diesel variant of Chevrolet Sail U VA. This exclusive diesel variant launched by Chevrolet Cars is termed as Chevrolet Sail U VA PS. It is finally revealed with a price of Rs. 5.29 Lakhs (Ex. Showroom Delhi). The price of this Hatchback seems to be 30K cheaper than the entry level LDI models of Maruti Suzuki's venture Swift. As everyone is aware of the fact that Chevrolet Cars had already updated all the details regarding this variant on the official website, only the wait was for an official announcement which is made today. Chevrolet Sail U VA was introduced in the last quarter of 2012. This Hatchback was lined up against the leading segment of the market, Maruti Suzuki Swift. But it was unable to attract viewers and failed to provide any stiff competition to Swift. Hence, in order to create a scintillating impression upon the car-lovers minds and get hold of the Indian Car Market, the all new diesel variant Chevrolet Sail U VA PS is introduced. The company has also reduced the price of its petrol variant from Rs. 4.44 Lakhs to Rs. 4.19 Lakhs in a desperate attempt to get an edge over Maruti Suzuki's Swift. Undoubtedly, a lot of hard work is put in to make it shine. Chevrolet Sail U VA PS pictures clearly show that no modifications have been carried out in this compartment. Although, the interior has gone through the hammer and it has seen several new additions and alterations as well. Well, features such as ABS, EBD, Audio System, Airbags, Rear Wiper, and Defogger might be missing but Chevrolet Sail U VA PS features manually operated air conditioner, tilt adjusted steering wheel, front power windows, electrically adjustable OVRMs, Fabric Seats and Remote Boot Opener. All these decent features make it an interesting buy in this price circle. Chevrolet Sail U VA PS Price seems fine considering that its a diesel vehicle. Fuel cost as well as maintenance cost is low as compared to petrol variant. It is just Rs. 5.29 Lakhs, quite low as compared to the other similar hatchbacks in this price range. It is believed that unlike the failure of its petrol variant, it would fetch good audiences. Let's wait for the time and see what happens with its fate. Lets hope for the best and keep the fingers crossed.